Having children at home around the holidays can be so much fun! It’s great to see their little faces light up on Christmas morning or to receive their Hanukkah or Kwanzaa gifts! They remind us about the joys of the holidays – gifts, visits to see Santa, looking for their favorite family elf friend (ie Elf on the Shelf), baking cookies, decorating a tree/house, wrapping gifts, singing holiday songs, watching holiday movies together, etc. Yes, holidays can be so awesome when you have children! So what’s the catch, you’re wondering? I’ll tell you…behavior. Not just any old behavior but poor behavior, and often poor sleep too! What do you do with a child who isn’t just counting down the days to their favorite holiday (this applies for all of holidays that involve gifts, like Halloween and Easter/Passover too), but they are OBSESSED with it?! Sometimes that means they’re not sleeping well, as they wait in anticipation for receiving their gifts. Sometimes it means they’ve had one too many Christmas cookies and candies and they’re attitude isn’t the best. Maybe they’re feeling entitled with the holidays, and really aren’t understanding the true meaning. How do you make it through the weeks leading up to your child’s favorite holidays? When it comes to sleep, you want to keep things as consistent as possible. If you start letting the excited early mornings happen, then they will start to become the new “norm”. The day needs to continue to start at the same time as it always does, and this includes the “big day” itself. I know some of you are thinking, “What?! How cruel to make your kids wait to open presents!” But hey, it’s a busy day for all of us! I will have a long day of cooking ahead of me once I’m up, so there’s no way I’m waking up at 5am! I also don’t want children awake for the day at 5am…talk about a long day for them too! So we keep things consistent here at the Welch household, with a 7am wake up time! If your child is still napping, you want to keep their nap schedule as usual too (including the holidays themselves). Skipping a nap on a holiday will just punish you and your child. Your child will be miserable on a day that should be fun! Of all days, they may have woken up early with excitement and truly need that nap. We all know what a miserable child looks like normally. Couple that with the fact that it’s a very stimulating, interactive day for them and it’s a recipe for disaster! And if you’re like me and need to cook on the holidays, then you know how much time you have set aside for tantrums and meltdowns…yup, zero. So do yourself the favor and let your child nap! Go to your family’s houses before or after nap, or plan the car trip around your child’s nap so they can catch some zzz’s on the way. A short nap is better than nothing! Now what about the child who’s beyond hyper for weeks before the holidays? Well, it’s business-as-usual here too. While you know why they might be acting up, it’s not a free pass for them. They still need to be respectful to you and others, and they still need to follow the household/school rules. While I don’t believe in threatening to take toys away from kids who aren’t listening well or are on “Santa’s Naughty List”, I do think that you can use the spirit of the holiday a bit in your favor. For instance, we have Lizzie the Elf visit our house every year. Anyone familiar with the Elf on the Shelf story knows that the elf’s job is to watch the children’s behavior throughout the day and report it back to Santa each night. Since my children are well aware of the story and Lizzie’s job while here, I simply remind them on occasion that she’s watching and will be making a report for Santa. My kids definitely change their behavior after I remind them of this! Well, at least for 10 minutes anyway! Again, it’s not something I’m threatening them with at all. It’s just a gentle reminder that she’s watching. For children who don’t have an elf, are too old for it, or simply don’t care, you need another approach. In fact, you can use the elf AND this approach together. Throughout the entire year, I encourage you to use a behavior clip chart with your children. Most classrooms use these, which means school-aged kids (even prek) are used to how they work. The basis is this…good behavior moves your clip up and poor choices move your clip down. The goal is to be at the top each day. You can tie rewards with this if you’d like. Use a chart that has 5-9 behavioral levels on it. I use a colored chart, with different colors and emoji smiley faces in each row to indicate the happiness level. Kids start off in the middle of the chart each day, with the ability to go up or down as needed. While rewards are a nice bonus, also be sure to think of a consequence if they get to the bottom! In our house, they owe me a chore of my choice if they get to red (ie the bottom). No matter what you do, the main point is this…holidays or not, sleep and behavior are non-negotiable! 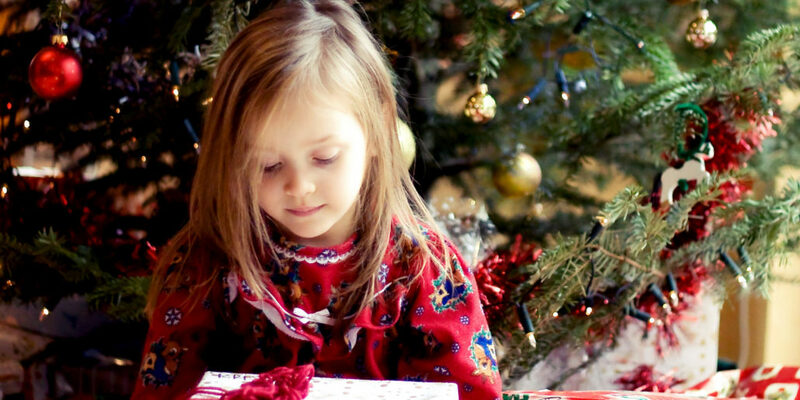 Our expectations of our children shouldn’t change just because it’s a holiday season. Trust me when I tell you that you’ll be happier the day AFTER the holiday, if you didn’t change things beforehand. Because the children who were allowed to stay up late, get up early, eat all the cookies they wanted, etc are going to expect those same things to be allowed to happen the following days too. And if you’re thinking I’m a Grinch, I swear I’m not! My kids know nothing different than this, so to them this is the way it is every day of the year. I still get all the love Christmas morning when they come flying down the stairs to see all that we and Santa got for them! If you liked the idea about the behavioral clip chart, I have tons of other helpful parenting tools like this in my Parenting Course! I go through how to use this chart (and give you one to print) and many others, because kids love charts! This course is packed full of things every parent should know! Click HERE to learn more about the course, see the topics, and sign up (note: if you’re on mailing list or follow my Facebook page, you’ll get a special holiday coupon code)! And if you’re having trouble after the holidays with sleep, you can always check out the courses for sleep or book a call with me to talk about working one-on-one together. You don’t want to start out the New Year (or any other time of year) with a kiddo who no longer wants to sleep well, so let me help! You can click HERE to set up your free 15 minute phone consult.